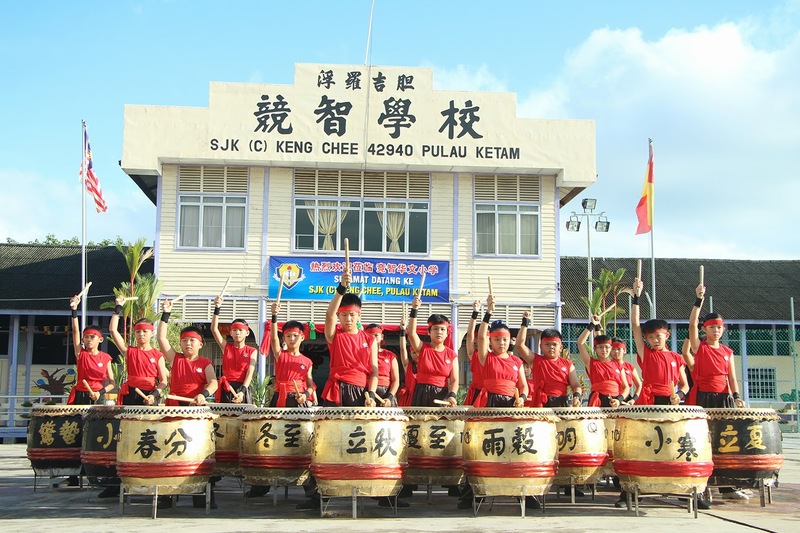 SJK(C) Keng Chee, is a Chinese school that’s located in Pulau Ketam, an island where buildings are built on stilts. The only way to the island is by ferry or speedboat. Despite being in a remote place, the school realized that they needed to give their children the best learning opportunities for education. Together, the Board of Directors, the school’s alumni and the Parent and Teacher Association of the school raised money to launch the “1 Murid, 1 Chromebook” Programme which involved purchasing 122 Chromebooks for every student! 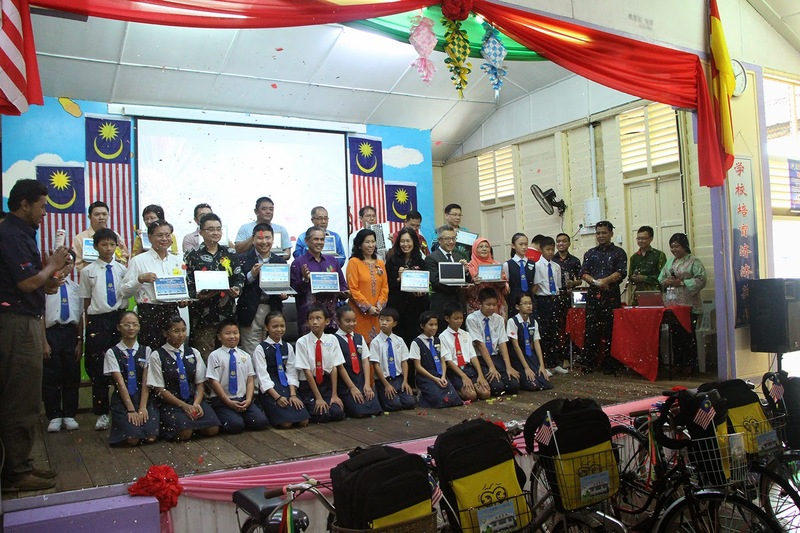 This effort was supported by YTL Foundation and YTL Communications as they provided a Chrome Cart and the 4G connectivity. 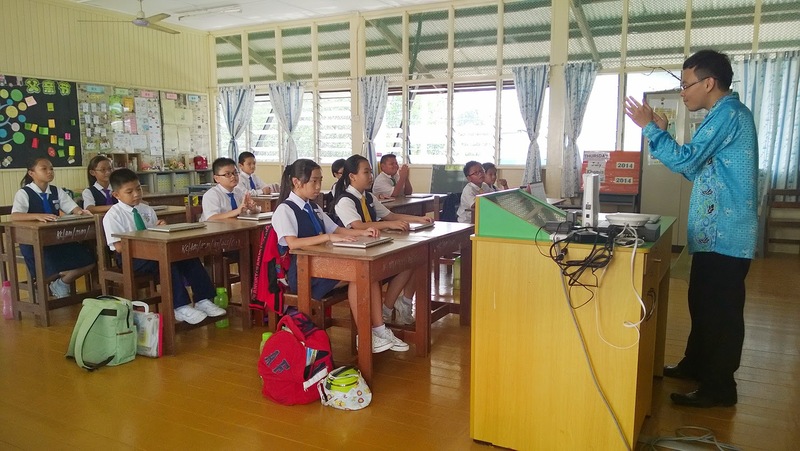 In his opening speech at the official launch, Mr Chia Gek Siang an alumni of the school, mentioned that less than 30% of the Pulau Ketam’s residents had access to computers. Providing access to technology so that students in this school could change the future of this community seemed like the way to go. Parents rallied enthusiastically about the idea as they understood that this would connect their students to world-class resources and improve their learning outcomes. 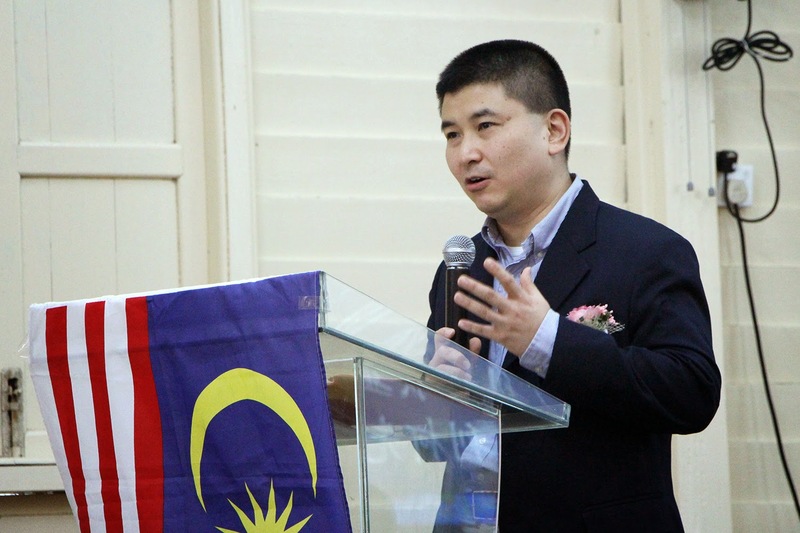 Thanks to efforts of the school’s Headteacher Pn Chuah Soo Cheng, this school has now become the first in Malaysia to initiate and fund such a programme. 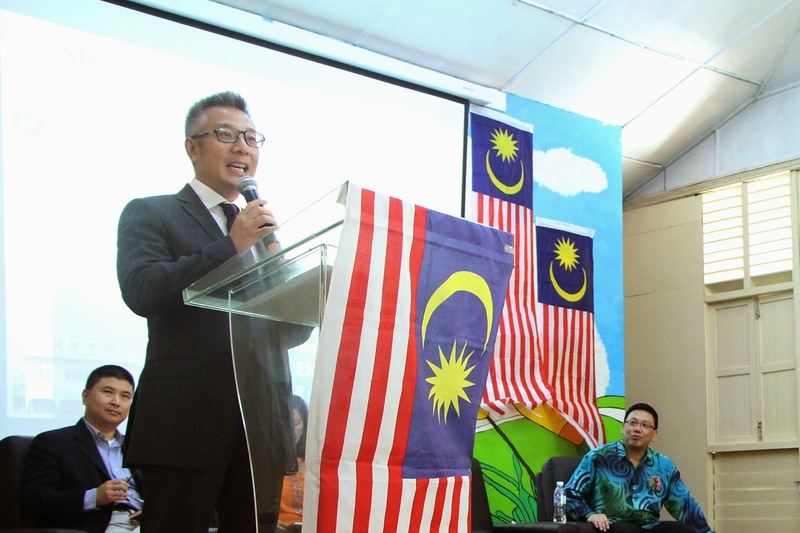 The Head of Information and ICT Management Sector from Selangor State Education Department Encik Abdullah Nordin was present to officiate the programme. Also present were CEO of YTL Communications Wing K Lee, YTL Foundation’s Director of Projects Datin Kathleen Chew and Head of Education at Google APAC, Harry Kwa. A group of 30 headmasters from neighbouring Chinese schools in Klang were also invited to witness this auspicious event. In his speech, Encik Abdullah Nordin expressed his pleasure at the program which allowed students to learn at their own pace. Mr Harry Kwa the Head of Education at Google Asia Pacific also said in his speech that this program gave the students of SJK(C) Keng Chee suitable and powerful tools for learning. "Fast, secure and lightweight Chromebooks are great for students!" - Harry Kwa, Google Education APAC. The Chromebooks also feature auto-updates and are virus-free, which means that the school won’t have to spend thousands on software updates and antivirus programs. 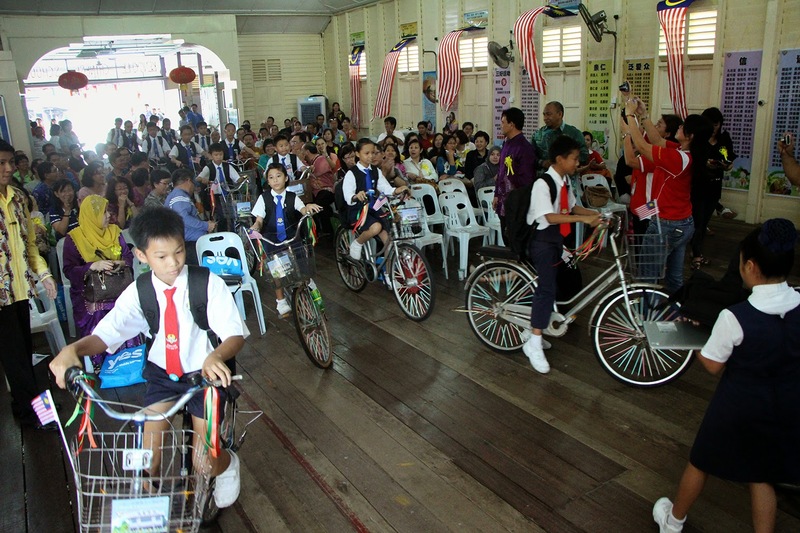 Riding in to present the Chromebooks - Pulau Ketam style! In support of the programme, YTL Foundation contributed a Chrome Cart to charge and safe-keep the Chromebooks. Other supporting devices and services were also supplied. "I'm encouraged to see pioneering schools taking great steps close the digital divide between rural and urban areas." - Wing K Lee. Smiles everywhere during the launch of the programme! The event ended with a group tour to the classes and Chromelabs where the students were already studying with their new Chromebooks. We wish the students of SJK(C) Keng Chee all the best with their learning journey!